Good morning everyone! 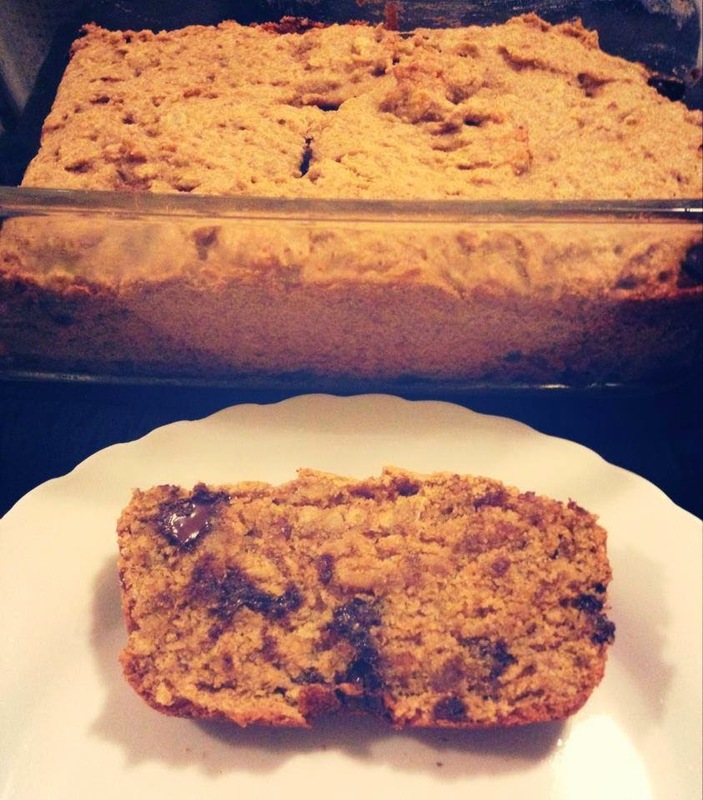 I thought this would be a great day to share my eggless banana bread recipe with you because you might actually have a moment to whip it up. It really takes no time at all and is a great Saturday morning treat.I also wanted to take a moment to share that I will officially be graduating from my dietetic internship in 5 weeks!!!!! Elation does not even begin to describe the level of the excitement that I feel. This year has been the most challenging and rewarding year of my life and I am so looking forward to starting a new chapter. I am also looking forward to having a legitimate break and by break I mean the 6+ weeks I will be studying for my registration exam, haha. The fact that I will have time for friends and fun makes it a break and my summer is already filling up with fun adventures. I am also thrilled that I will have so much more time to experiment in the kitchen. I have missed that creative outlet immensely and I have soooo many new yummy and healthy ideas brewing in my mind. Stay tuned because it is going to be a fantastic summer! 2. Grease loaf pan with olive oil or melted coconut oil. 3. Mash bananas in a bowl and then mix in (with a mixer) the oil, sugar and vanilla. 4. In a separate bowl, combine the flour, oats, baking powder, baking soda, allspice, salt and chocolate chips. 5. Slowly fold flour mixture into the wet mixture. Stir ingredients together, just until combined. Do not over mix. 6. Pour batter into pan and bake for 35-40 minutes. Check at 35, but if you want a crisper outside, leave in until 40. 7. After baking, remove from oven and allow bread to cool for 20-30 minutes. Cut and enjoy!